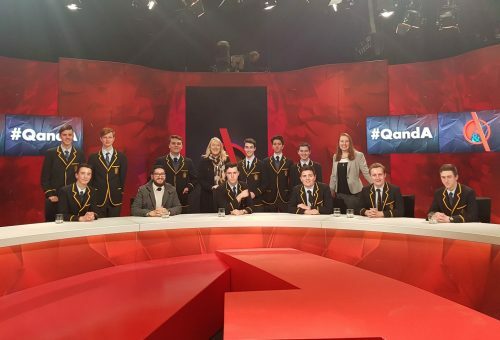 On Monday 30 July, a group of Year 11 and 12 students attended the live broadcast of the ABC programme ‘Q and A’. Lawrence De Pellegrin (Year 11) was fortunate enough to be selected to pose a question to the panel. In light of recent news about the proposed Nine and Fairfax merger, Lawrence asked if the panelists were concerned about the future of journalistic integrity and the concentration of media ownership in Australia. It was a great experience for all students and they thoroughly enjoyed the enthusiastic debate.